Start your work by clicking the recent files and projects listed in Start panel, or drag files from Browser panel and drop to Start panel. 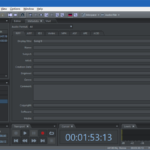 Audio mixing is carried out in the multitrack editor. 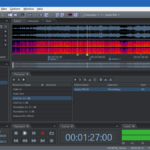 Audio effects can be added to both tracks and clips. Sends and buses can be used to create complicated mixing structure. 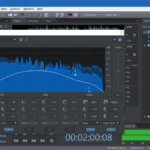 Besides basic editing operations such as copy, cut and paste, you can apply effects to audio files with FX rack or use tools such as Interplate, Noise Reduction, and Gain Envelope. 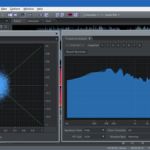 An audio processor can store a combination of most audio editing operations with predefined parameters. 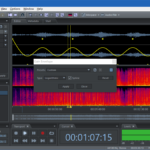 Such operations can be applied to audio files repeatedly by simply running the processor. 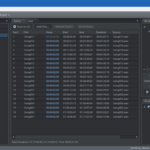 To convert file format or apply some processing to a bulk of files, you can create a batch processor to choose files, select a processor, set target format and target location, then click Run and wait. 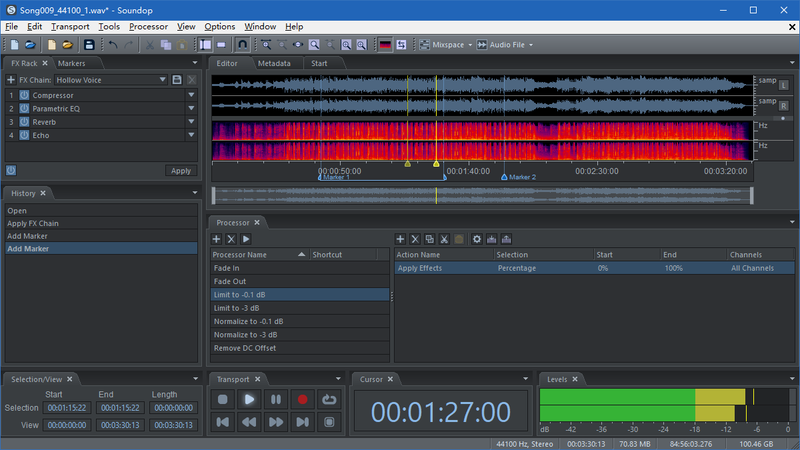 Burning Audio CD is extensively supported with customized gaps between tracks. 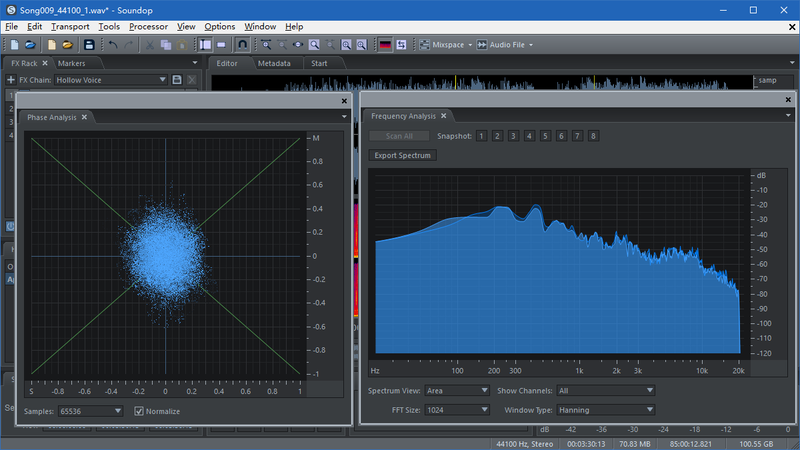 You can choose to verify after burning to make sure the tracks are written to CD successfully. 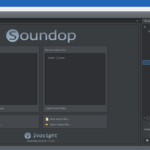 Soundop has several powerful built-in effects and supports VST and VST3 plugins. 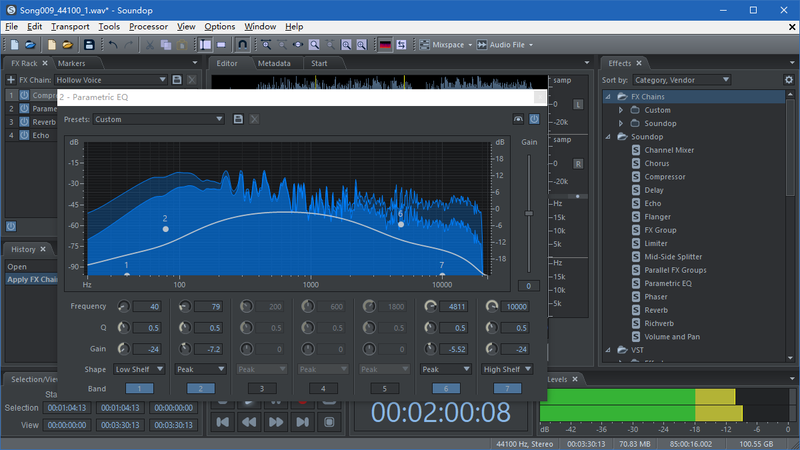 FX Group, Mid-Side Splitter, and Parallel FX Groups can be used to create a sophisticated combination of audio effects. 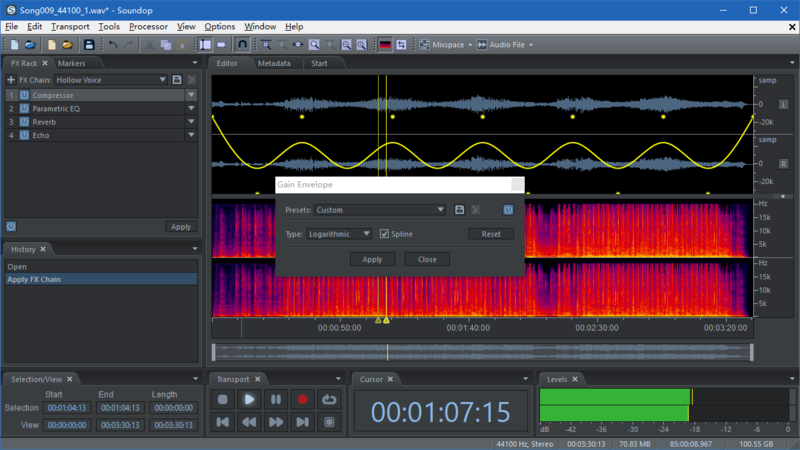 To analyze audio, Level meters, Loudness meter, Phase Analysis panel, Correlation meter, and Frequency Analysis panel can be used both in the audio editor and multitrack editor. 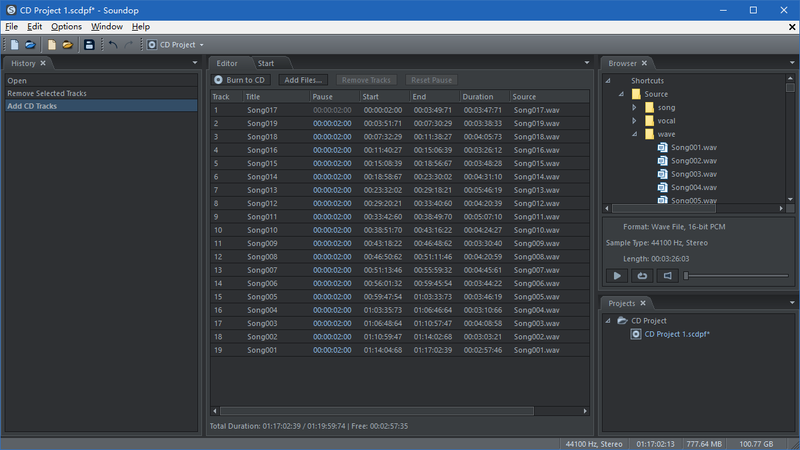 Soundop support several metadata formats. 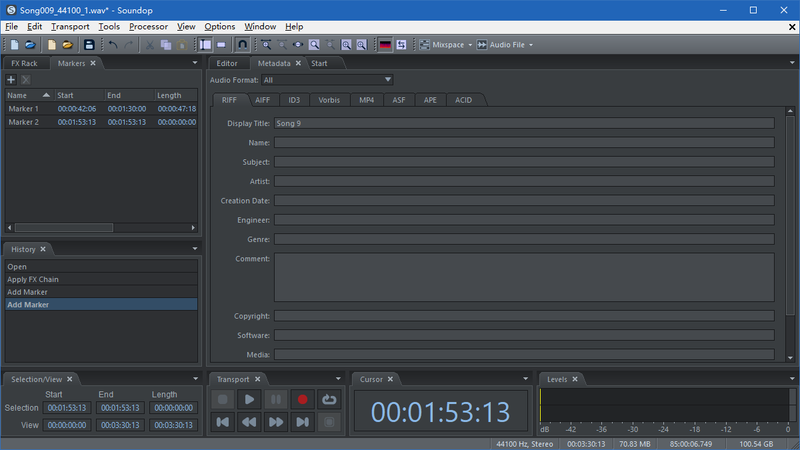 And you can choose a target file format to show the metadata formats native to the file format and set the preference to save only native formats with the audio file. 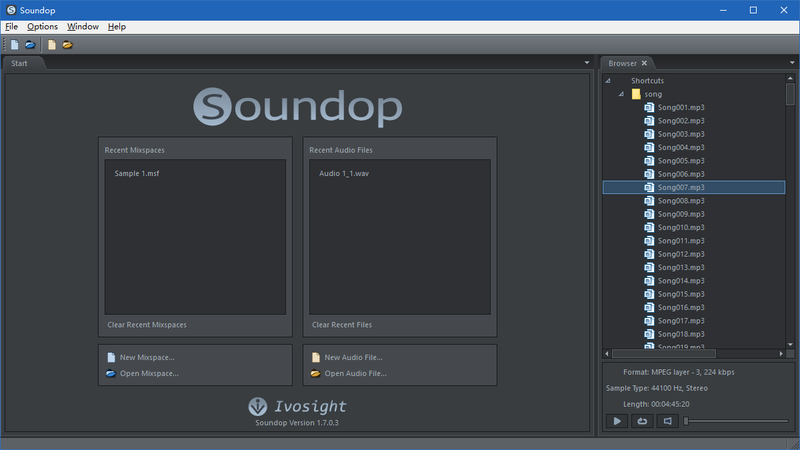 Copyright © 2019 Ivosight Software Inc. All Rights Reserved.